Very professional and efficient. The job was completed quickly and without any issues whatsoever, and for an excellent rate. Would definitely recommend this company to anyone. Brilliant job. We had a few difficult and heavy things to move and the job was done very efficiently. The two guys who came were very friendly and organised. Definitely recommended. Extremely helpful and efficient at what was an extremely stressful time for me in my personal life. Thank you also for stepping in at the last moment. Many thanks. Fast, efficient service. Queens Removals moved the contents of our two bed house out and into storage in less than 3 hours from start to finish. Will be using them again. Amazing job! Two people did the removal. They were both awesome and they helped me much more than their job required. They were human first of all and then professional. I was by myself and they helped me with everything. They were very fast, efficient, kind, friendly and professional. They took care of myself and everything was done smoothly and fast. I will definitely do my next removal with them. Many thanks! Probably the BEST movers I have used in London. Highly professional, careful, efficient, and pleasant to work with. I'd recommend Queens Removals' team to anyone looking for a professional moving service. Really superb service. Could not ask for a better house move. Guys were super quick and very careful with everything. Do not hesitate to use, and you will not find a better service. Absolutely fantastic service from Charles at Queens Removals - the guys achieved the impossible despite my lack of organisation. I couldn't believe how quickly they got our first floor flat emptied and everything moved into the new house. Even last minute items that were not packed were transported with care. Efficient, polite, professional and so reasonably priced. Thank you. Professional service, they moved our 2 bed flat's contents very quickly and carefully. Movers were polite and hard working. Very happy customer. Prompt replies. On-time service. To the point. Efficient. Fast but careful. Expected it to take 2 hours - done in just over an hour. Good removals company and very nice chaps. Very experience and efficient. All my good were moved swiftly and with no damage. I would definitely use them again. Excellent job - hard working - efficient team. Will definitely use again and recommend the to everyone. Amazing service! Super quick and efficient. Will be using again! My calculations were very off so Queens Removals needed to carry way more items than expected. Without complaining both men carried on as real pro's and took all our belongings respectfully and swiftly to our new home. Thank you guys, definitely recommending you to others! Excellent. On time, friendly and moved the stuff efficiently. Would recommend. Of the 6 removal firms I have used over the years, Queens Removals is the best. They were timely, efficient, accommodating and friendly. Working with incredible speed and skill, this was the best removals service I have had. I recommend them to everyone. Once again a brilliant team who arrived ahead of time and did the job with speed, ease and good humour. Nothing was too much trouble, and I will definitely have them at the top of my list for any moving jobs for the future, and will recommend them to friends and family. Thank you. Fantastic service! They took great care not to damage any of the items being removed or my aunts house while removing them. They were also very accommodating when I had to change the details around the job after already accepting their initial quote. Next time I have a big move I will go directly to them. Excellent service. Queens Removals arrived on time. Charming guys and worked very fast clearing the entire flat. Met them at the new flat and again fast efficient and friendly. I will definitely use them again and highly recommend them to anyone. The team worked very quick and accommodated multiple requests outside of the agreed inventory. I would thoroughly recommend Queens Removals for any house move. Queens Removals were very helpful and moved everything with ease up and down stairs. They were friendly and got the job done as quickly as possible. I will definitely use them again. they come highly recommended! The Move went really smoothly. The two men Charles and Ian were excellent. They were quick efficient and really knew what they were doing. They lifted the heavy boxes and furniture with ease and packed the truck well. there were no breakages or damage and they treated our stuff well. Really pleasant and friendly people and willing to help and adapt to the parking problems we had on the day. A credit to the company. Would definitely use them again and recommend to others. great Job guys! The two young men arrived on time and quickly set about moving our belongings. They were both very polite and worked very quickly. We couldn't have asked for a better crew to move our stuff, and we are delighted with the service. 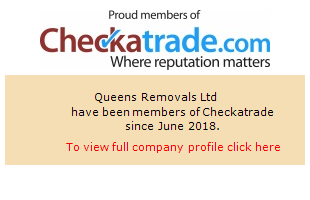 We will definitely recommend Queens Removals. Thank you. We were very impressed by the speed of Queens Removals, and also they were very reasonably priced and fair. Definitely would recommend. Fantastic service. The guys were quick yet careful and very efficient. We were moved within about an hour an a half. We will definitely be using gem again and have recommended them to others. What a fantastic service. Polite, punctual and super efficient. I shall be keeping your number for next time! Thanks! Superb company; they were careful with our belongings, very fast and cost-effective. Their time estimate (for how long the job would take) was exactly right, and they brought their own blankets, to further protect our stuff whilst in transit. I'd highly recommend using this company. Queens Removals were fantastic! I would definitely recommend them to anyone looking to move. They were quick, careful and flexible! Great team, on time, helpful, friendly - definitely deserve to be supported. First class - polite, punctual and friendly. Very efficient - no hidden extras. Excellent service - we will use them again and recommend them to friends. Fantastic service - on time collection and delivery and goods in place as agreed. Happy customer - Would highly recommend. Very prompt, polite and professional. Would definitely use Queens Removals again. A lovely helpful removal company. Very punctual, fast and careful. Would definitely recommend them and will use again. Absolutely brilliant service, arrived early and then had to deal with more items than they were expecting. They did it with no complaint. especially having to move at 50kg treadmill up two narrow flights of stairs. I can't recommend them enough, amazing value for money!! Swift efficient service at a great price. Excellent service, extremely punctual and efficient. Queens Removals did the job very quickly upon arrival, they were polite and professional. They were efficient and well presented. They wasted no time in moving the items and delivered it all at the other locations without issue. Would recommend them to anyone looking for removals or any other service they provide. Excellent, efficient and friendly. I would have no hesitation in recommending this company and extremely good value for money. Arrived exactly when they said they would. Very friendly and helpful. Had everything packed and delivered within 3 hours - couldn't ask for any more. Great service thanks. I was very impressed with service and would recommend. Very fast working, no messing about! Super job - quick, efficient and polite. Excellent communication and job well done! Thanks, will for sure use again. Great guys - fast and effective! Also, true gentlemen. Very polite, very efficient service. Thank you. Happy with the service. Good friendly guys, reached before time and were very fast service. No issues faced and would use them in future if needed. Highly, highly recommended. Very friendly, very quick, very careful. Great service and swift removal of items. Would use again. Great guys! Not only were they very punctual, but also delivered the wardrobe all the way to the desired room, which is on the third floor, without any objections or extra payment, and even did the assembly! Arranging the collection and delivery was fuss free. Great communication and fantastic service. Thanks a lot! Absolutely brilliant. Fantastic guys. Cannot praise this company enough. They were superb. Extremely fast and efficient, unloading all my bags in minutes. Queens Removals team also sent helpful text messages with arrival times at the pick up and destination. I would strongly recommend Queens Removals. Queens Removals was extremely helpful, accommodating, fast and friendly. They were cool enough to help me dispose several boxes full of unwanted items as well. Thank you Queens Removals! Would be happy to call on again for any moving jobs in the future. Very helpful guys. Arrived early and offered a lot of help. Really efficient and fast service plus very professional. Will definitely use again...! Recommended. From the quick inspection of the house contents to the packing day it all went very smoothly. Queens Removals arrived promptly and had my flat packed up and ready to go in under two hours. They carefully packaged some delicate items for me and secured them inside the truck. Their quality of service and professionalism were of the highest standard and I was extremely grateful for their hard work they demonstrated on my moving day. I would thoroughly recommend them and would definitely use Queens Removals again. Used Queens Removal for our move from Surrey to the West Midlands. Very happy with the service received. The guys were punctual, efficient and friendly. Job done extremely well at a more than reasonable price. We would absolutely recommend them! Queens Removals - thank you so much for your really efficient, adaptable and well priced service. 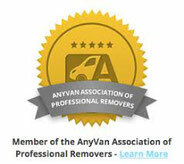 I would thoroughly recommend you to anyone for any kind of removals and storage. Your business deserves to do well, as you are putting everything into customer satisfaction, which is the ultimate test of a successful service business! Great service, on time for all collections and very helpful indeed. Would definitely recommend. Thanks for doing a great job. We were impressed with Queens Removals efficiency and care. Very impressed. Punctual, polite, got stuck in. Did the whole lot in no time and at a very good price. Recommended. Superb, very polite, excellent service. Very good. The guys helped load the van and unload the other end.